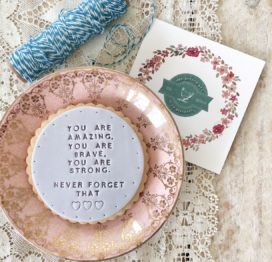 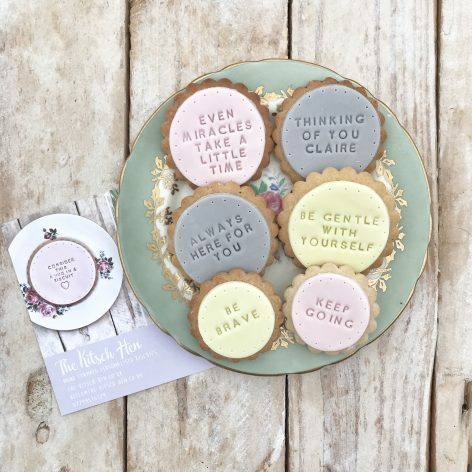 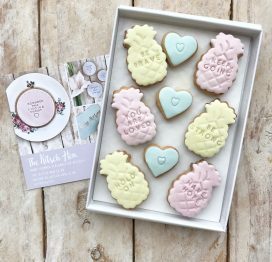 A box of six iced and hand stamped vanilla biscuits with messages of hope and encouragement to make someone smile in the toughest of times. 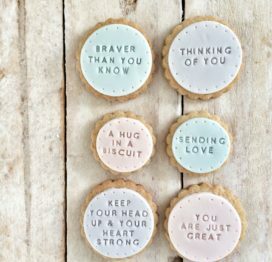 one of which can be personalised with a name. 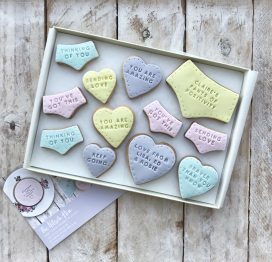 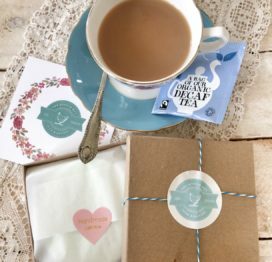 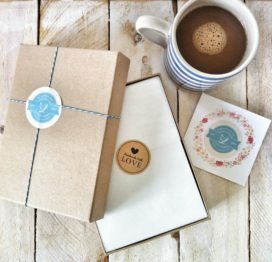 The biscuits are carefully wrapped and packaged in a beautiful recycled gift box that’s designed to fit through a standard letterbox. 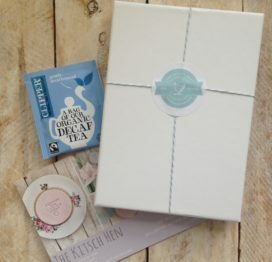 We’ll even add a hand written gift note for you, so don’t forget to add the details in the box opposite.